Another look at my sketchbook and the final version. I drew this teddy bear during HNA 2013, when I was cartoonist-in-residence onboard the Queen Mary. It took me about one hour to draw. The Queen Mary hotel was haunted, so Kaeru the frog needed a companion. 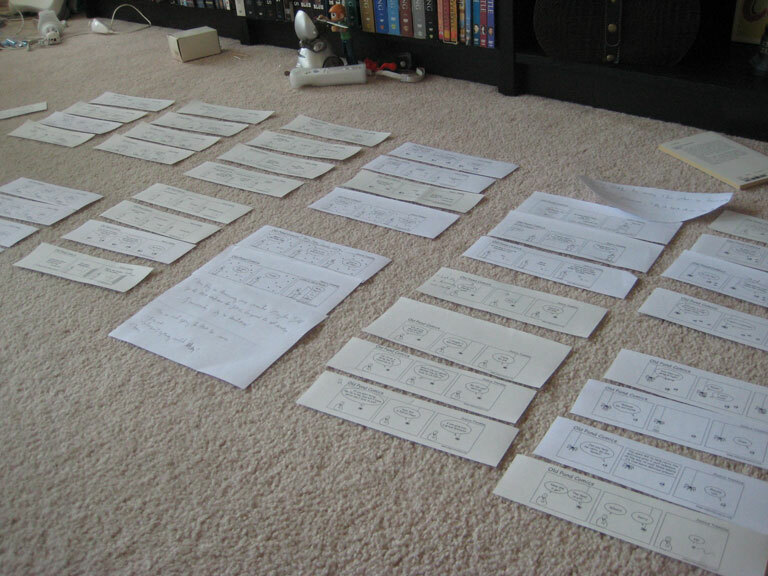 It’s so exciting the moment you realize you have enough comic strips to make a book. (Well, if you can call a zine, a “book”.) Next step is to assemble the comics in a mock-up version. This new story features the adventures of a haiku poet who is trying to get rid of a fly that lives in his house. 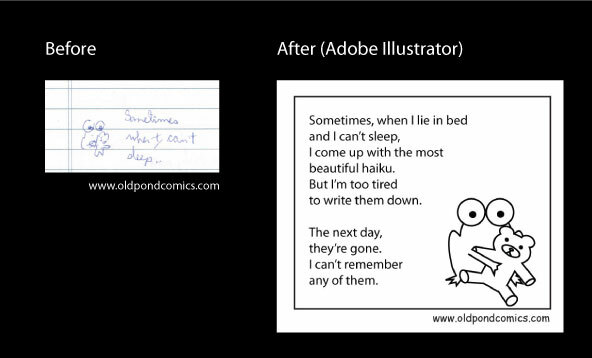 It will be told through haiku-comics. The zine will be available at the Haiku Canada Week-end in May 2015 and afterwards on my online store.